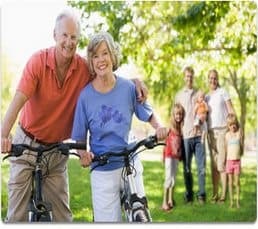 The one aspect of fixed annuities that most people know is the guarantee of principal by the issuing insurance company. Additionally, fixed annuities will guarantee a set interest rate for a specific period of time that could be a single year, or many years, in the case of multi-year guarantee annuities. Many people may not know however, that fixed annuities can provide superior asset protection relative to other investments. If you own stocks, bonds or mutual funds and have a negative credit issues, these assets could be attached or lost to creditors, in the case of bankruptcy. Not so in the case of annuities in some states. Market fluctuations: Because fixed annuities offer guarantee of principal and interest. You’re protected from the loss in principal and earnings that stock and bond market investments are vulnerable to. Current taxation of annuity earnings: Since fixed annuity earnings are tax-deferred, they’re not reported on your tax forms. This keeps your fixed annuity investment off your tax records until you withdraw money. This also affords you a privacy feature, even from IRS. so if this is a concern for you, be sure to check your state’s current rules on this. (Note that should the annuity be an IRA or 401k investment, different rules apply, rules dictated at the federal level). The probate process: Your fixed annuity investment transfers immediately to your beneficiary. This minimizes costs associated with probating this money, avoids its characteristic delays, and keeps the transfer of this money private – another privacy feature. Contestability: No one may contest your decision as to who will receive your fixed annuity benefits at the time of your death. Assets subject to your will can rightly be contested. One other benefit that could be of interest to those with college aged children: FAFSA (the central administrator of college financial aid) doesn’t consider the home you live in, your retirement plans or insurance (includes annuities) as investments. So when Question 89 asks “what is the net worth of your parents’ investments, including real estate?” don’t include them. Note: Fixed annuities once annuitized (meaning converted to a monthly income) cannot be surrendered for value. Income from deferred annuities is taxed as ordinary income and withdrawals prior to age 59 ½ are subject to a 10% penalty. Income from annuitization is taxed part as ordinary income and part as return of capital. Any guarantees are based on the claims paying ability of the insurance company. Annuities should be considered long term investments. There are some great little known fixed annuity benefits listed in this article. Thanks for sharing! I blogged about your article for Annuity FYI.